In 2019 I’m going to try to hike, bike, swim, run, float, or backpack every accessible State Park in Missouri. 11 down out of 58 (although 3 are not open to the public yet). I live all the way on the eastern side of the state. It will be tough. Here’s my AllTrails. Photos to come. Babler State Park — Hiked 4.5 miles on the Dogwood & Woodbine Trails on 9 Feb. Babler is very much a developed park, meant for youth camp groups and such. There’s no suspension of disbelief that you’re out in the wild (aside from the crazy amount of armadillos). 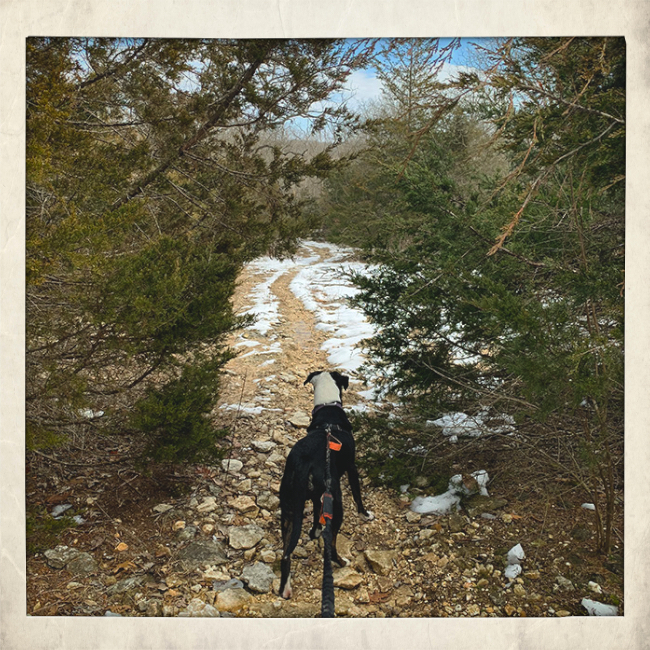 Castlewood State Park — Hiked 6 miles on Grotpeter & Lone Wolf Trails on 19 Jan. Castlewood is extremely popular and can be nearly overwhelmed on weekends with runners, hikers, bikers, and even organized races. The trails and views are wonderful, but the sheer amount of people can throw you off. 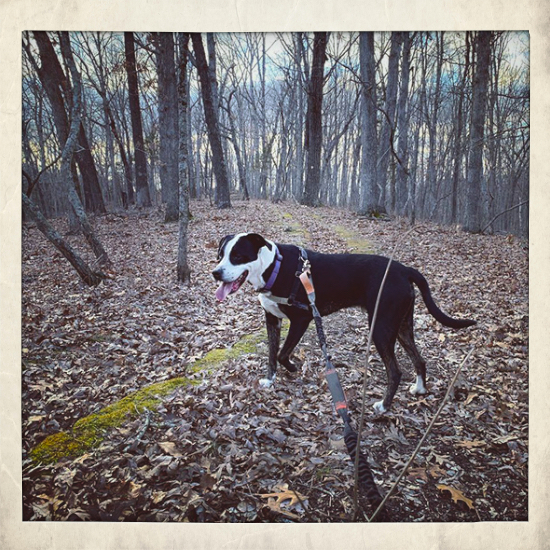 It’s especially hard to hike with a dog and constantly yield to bikes. It was extremely cold when I went so the crowds stayed away, making for a perfect silent/chilly/snowy/muddy outing. Cuivre River State Park — Hiked 14 miles on the South Loop Trail on 2 Feb. You definitely feel like you’re in the backcountry here. Lots of trails, connectors, water crossings. Beautiful. Don Robinson State Park — Hiked about 7 miles, counting the canyon exploration and the road walk to the trailhead since the park gate was closed, on 16 Feb. The Sandstone Canyon Trail (just 4 miles itself) is one of my favorites. Was especially nice to see it snow-covered. 10 foot icicles hung in the canyon. Lake Wappapello State Park — Backpacked ~17 miles on the Lake Wappapello Trail 16-17 March. The first half is pretty much single track/bushwacking (reassurance markers can be hard to find) while the second half is a bit more dull (in comparison) doubletrack and very easily followed, when you go counter-clockwise. An old cemetery marks the approximate midpoint. Lake views are great. Saw wild boars! Morris State Park — Hiked 3 miles on the Beech Tree Trail. 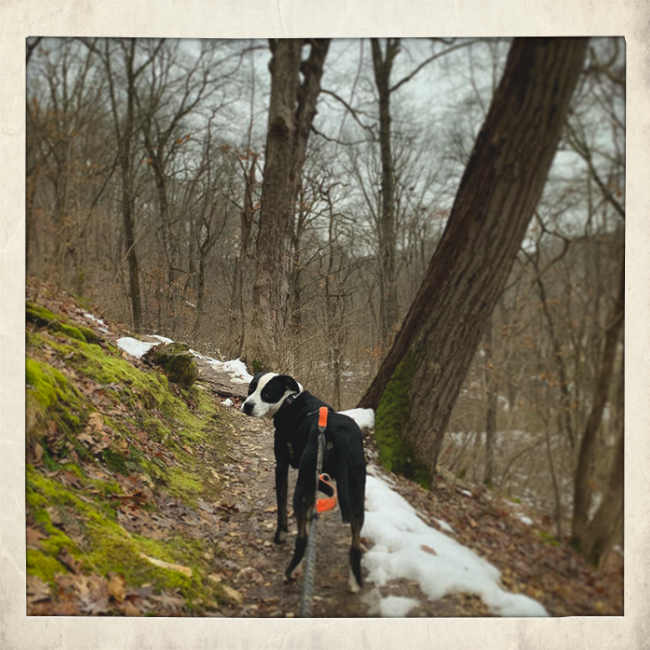 Robertsville State Park — Hiked 1 mile on the Spicebush Trail on 16 Feb. I had already done the other trail in the park, the Lost Hill Trail (3 miles) so I figured I’d check out this short one. Probably best for kids and those looking for a shorter trek. Route 66 State Park — Rode the Kircher and Flat Creek trail into the park, for a total of just under six miles. Can’t even count how many times I’ve driven by this place and thought: meh. But it’s kinda interesting. I am somewhat ashamed to admit that its name long misled me, and I’d also forgotten some significant STL history… and no doubt the park’s name has misled many others. Anyway, the Route 66 connection is real (and I still need to check out the visitor center), but the reason the park exists is way more dirty and diabolical. Basically: dioxin. (Spoiler: It’s cleaned up now.) Today I took my bike there for the first time and my apocalypse radar went wild—because the place really is a ghost town, minus the ghosts. So I looked it up. 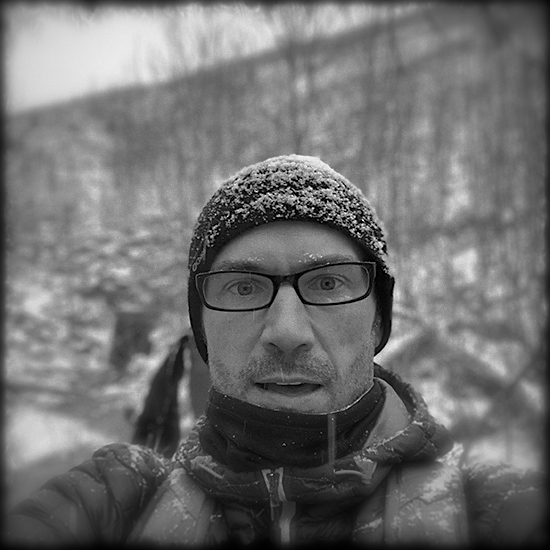 St. Francois State Park — Hiked 11 miles on Pike Run Trail 3 Feb. Pike Run is the longest trail here, and one you can camp on, but all are wonderful hikes. Nice river swimming when it’s warm out. 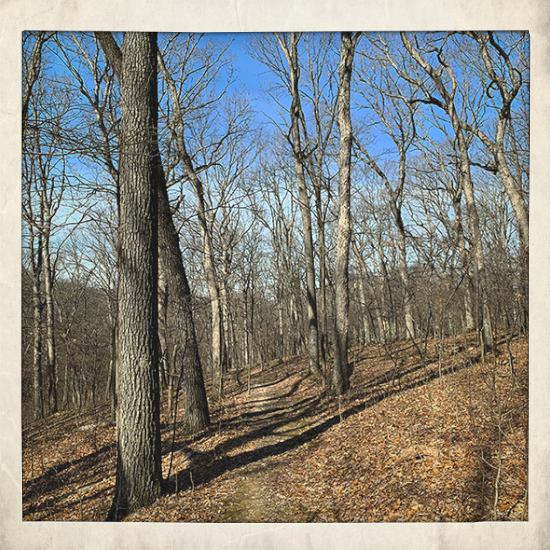 Trail of Tears State Park — Hiked 3 miles on the Lake Trail on 16 March. Washington State Park — Hiked 3 miles on the Campground Trail on 24 Feb (we had done the full Rockywood Trail last year).